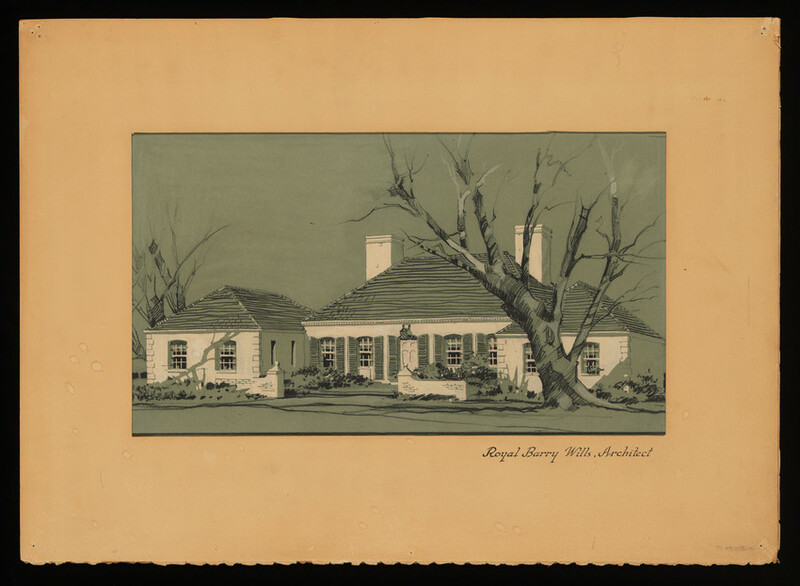 Historic New England is cataloguing and digitizing the archive of iconic architect Royal Barry Wills and his namesake firm. Wills is best known for popularizing and constructing Cape Cod-style homes throughout the mid-twentieth century. Since beginning the project, which is supported by the Institute of Museum and Library Services (IMLS), in April 2017, our Library and Archives staff have catalogued and digitized twelve scrapbooks dating from the 1920s through 1972. The scrapbooks provide an excellent overview of the work created by Wills and his firm. They contain more than 1,200 pages of press clippings, including magazine articles written by and about Wills and house designs published in national newspapers. The books reveal that Wills, a consummate marketer, did not shy away from using new technologies to expound his preference for traditional house design. 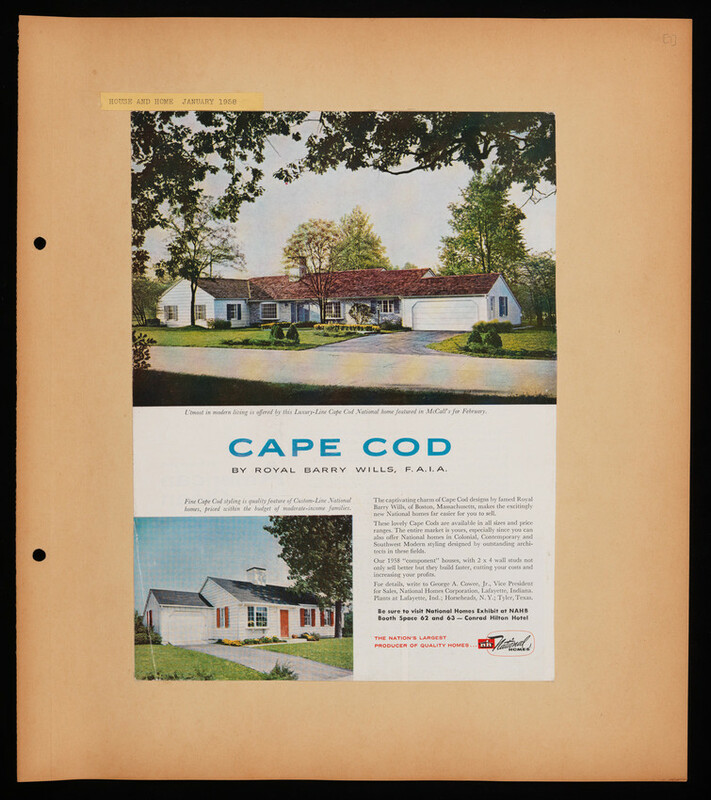 Here is an advertisement for a Cape Cod house by Wills, one of ten designs commissioned from him by the largest manufacturer of prefabricated homes in the U.S.
Royal Barry Wills demonstrated his ability for self-promotion by authoring eight successful books relating to architecture. One book discusses how to establish a successful architecture practice; another comprises Wills’ often witty essays on the clients and workers he encountered in his career. Other books focus on house designs by Wills and his firm and offer guidance to prospective homeowners on which houses would best suit their needs and budgets. 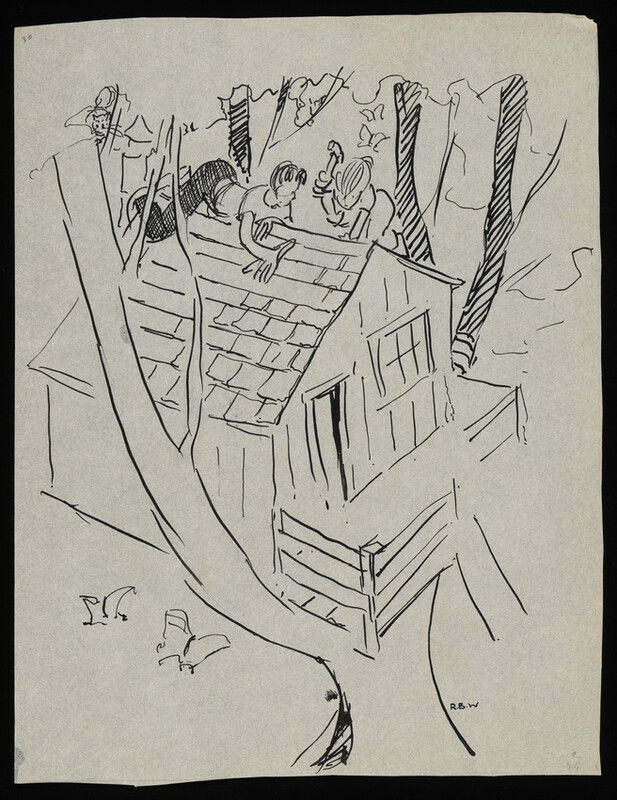 Wills also penned a guide for constructing every future architect’s favorite structures – tree houses! Revealing both his playful sense of humor and technical expertise, Wills weaves a story of two boys who built and expanded a tree house over several years with detailed instructions on how readers can build treehouses themselves. The archive contains manuscript drafts and illustrations (some not included in the published volumes) for many of the books. These materials have been catalogued and more than 350 of the illustrations have been digitized. Having completed the scrapbook and manuscript cataloguing, we are now processing the architectural drawings for more than 2,500 projects that span more than seventy-five years. We have already found many gems among the drawings, including sketches for somewhat unusual projects, such as a Tudor Revival children’s playhouse, a Cape Cod ice cream stand, and a Modernist dentist office. We will share glimpses of the drawings in future blog posts, so check back frequently. When the project is complete in early 2019, a finding aid to the collection and more than 11,000 digitized images will be available for exploration on our website, thus making the works of this influential architectural firm available to the public. You can support the preservation of this and other Historic New England collections by making a gift to the Collections and Conservation Fund.